It may sometimes be necessary to seek an order of temporary custody of a child because of an emergency situation that has arisen. It can occur when a parent needs to seek temporary custody because of safety concerns while in the care of the other parent. It can also occur when neither parent is able to care for the child and a third party must step in and seek custody. In either event, the temporary custody must be granted by a court order. When a divorce case is pending, one party can ask for the court to enter an order of temporary custody. This custody order will remain in effect until the parties either reach a permanent agreement or the court enters a judgment. Counties and judges differ on the procedure they implement in entering a temporary custody schedule. Applicants should always check the local rules. Generally, a party seeking temporary custody must file a document requesting same. The judge then sets the matter for a hearing and the parties present evidence and argument on the temporary plan they desire. Following the hearing, the judge enters a temporary custody plan which will control custody issues until the final divorce decree is entered. If a situation arises where both of the child’s parents are unable to care for the child (i.e. they become incapacitated or incarcerated) or there arise concerns about the child’s safety while in the parents’ home, it might be necessary for the court to immediately enter an order of temporary custody. 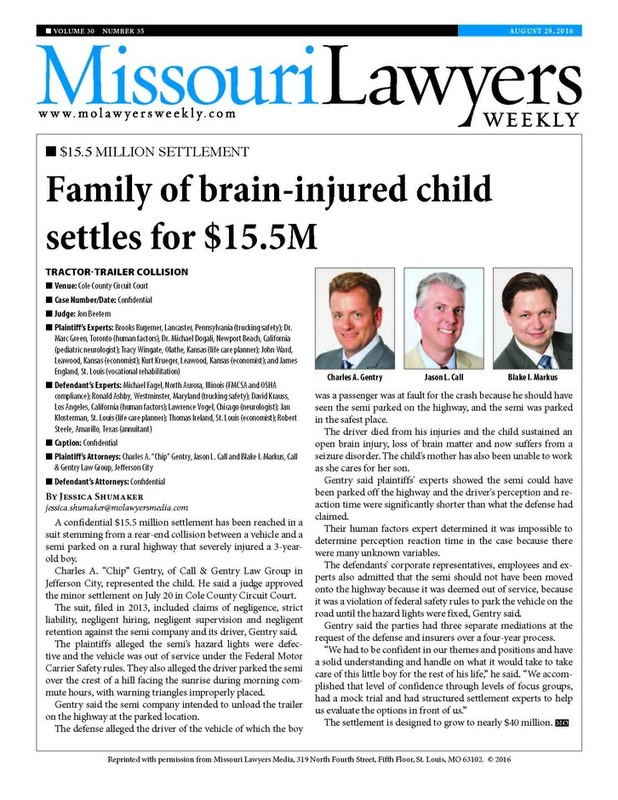 This is most oftentimes done through the juvenile office’s request for a protective custody order following a report to the Missouri Department of Social Services about concerns of abuse or neglect of the minor child. Temporary protective custody in these situations can only be for twenty four (24) hours unless extended by a court order. An emergency temporary custody order may also be done through the application for an emergency guardianship. This occurs when both parents are unfit, unable or unwilling to care for the child and there exists an urgency in having a third party appointed as the child’s custodian for the purpose of protecting and/or caring for the child. There is a great deal of paperwork that goes into filing for and obtaining an emergency guardianship and the emergency guardianship is only good for thirty (30) days. An emergency order of custody can also sometimes be obtained through a child protection or adult abuse restraining order. The court can enter orders of custody in a restraining order only when no prior custody order has been entered. The court cannot use a restraining order to modify a pre-existing custody order. Upon filing for a restraining order, the Court might immediately grant one prior to a hearing (called an “ex parte” order), but the Court must set the matter for a hearing within fifteen (15) days. At the hearing, the party requesting the order must present evidence about why the order is necessary. If the Court agrees, the restraining order can be granted in full and is in place for one year unless renewed. The order can only be renewed one time.